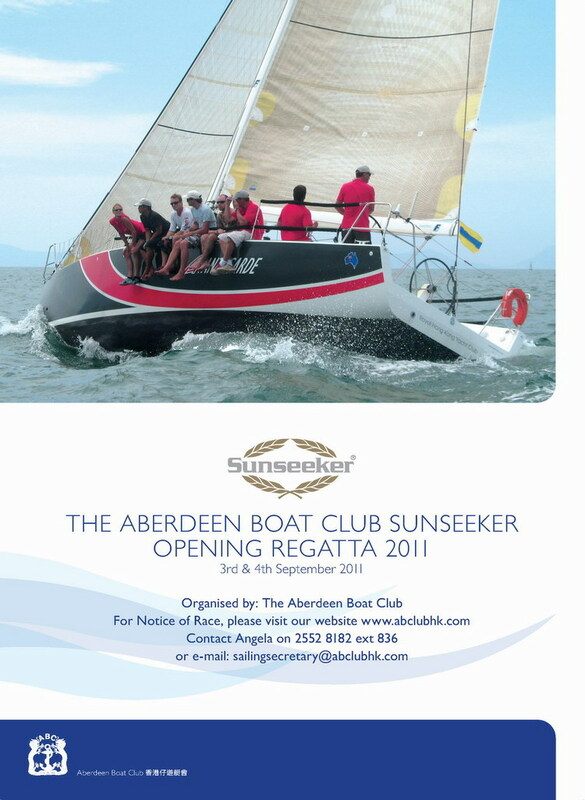 On behalf of Aberdeen Boat Club I would like to extend a sincere welcome to all competitors participating in the 2011 Sunseeker Opening Regatta. The Club is proud to be celebrating the 33rd anniversary of staging this premier Hong Kong sailing event which appeals to a broad range of craft from the smallest dinghies to state of the art racing yachts. The event has been generously sponsored by Sunseeker Asia for the ninth year in succession and I wish to thank Gordon Hui, Managing Director of Sunseeker in Hong Kong, for his continued support and involvement. May I wish you a safe and enjoyable regatta.